Every now and then I love a cheeky browse on notonthehighstreet.com for general decor inspiration, especially when it comes to putting the finishing touches to my living room. And this Handmade Succulent Letter Light from The White Bulb is where it’s at. First of all it ticks the succulent trend which is taking over my Instagram feed. Secondly I’ve always wanted to see my name in lights so am taking the first step towards that with an initial! 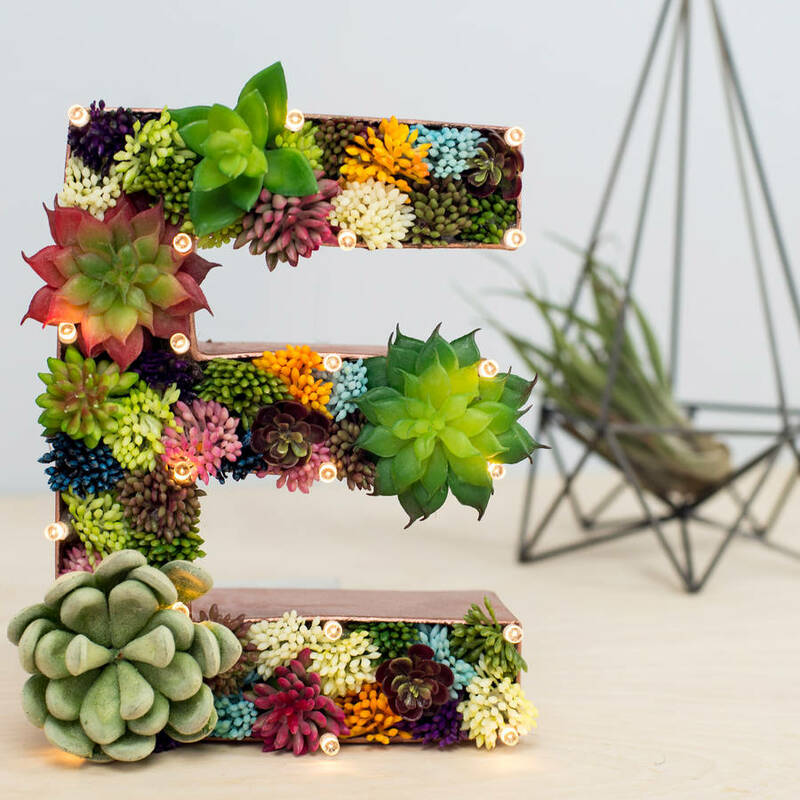 Each letter is filled with high quality, artificial succulents and up to 20 warm white battery operated LED fairy lights, meaning you can stand it wherever you like. I’ve already got my eyes on my shelving unit.